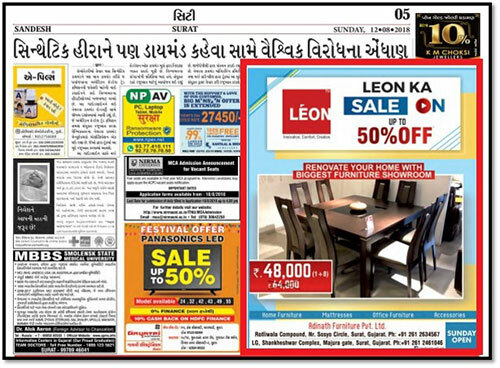 Newspaper is the oldest and most effect form of Indoor Advertisement. It can be done in multiple languages whether English or any regional language like Gujarati, Marathi,etc. It is a indirect form of Advertising which includes information about the product. It can be used to describe it's features or benefits and may also contain testimonials. Most people have the habit of reading newspapers in the morning. 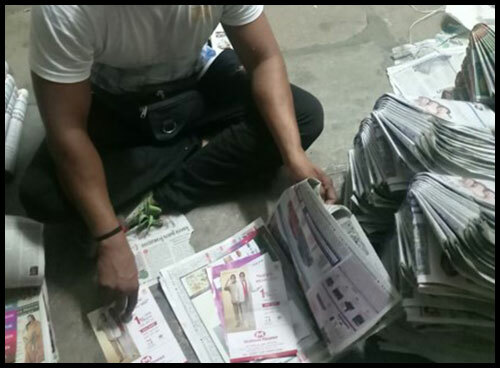 Pamplet Distribution involves Attaching Pamplets with leading newspapers for reaching every door of the area. It can be used for ads which are narrative or offers which can be redeemed by visiting the store. It isa mode of Advertising which creates curiosity and generates leads. Leverage our deep expertise and profound understanding of client's business domains and requirements to create tailored solution for their business need. We are known for our disciplined & transparent approach towards providing the highest value of satisfaction to every customer. Designed by Tigma Web Services.